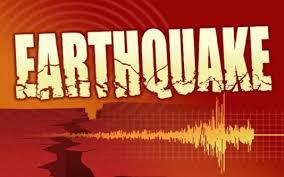 SANTIAGO– A strong 6.7-magnitude earthquake hit north-central Chile on Saturday, the US Geological Survey said. Thousands of homes lost power, which showed how intense the quake was, according to Ricardo Toro of the National Emergency Office. There were no immediate reports of injuries or damage. Chile is one of the world's most earthquake-prone countries.